Today the team from Pocket Nurse shares how one of the newest and most exciting tools that is being introduced into nursing simulation labs is virtual reality (VR)! 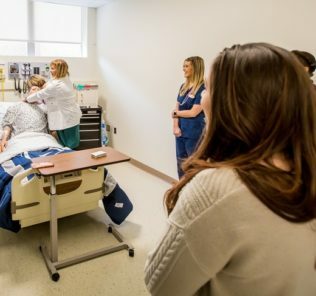 Although VR systems differ in the details, they all offer a similar experience, enabling students to assess patients and receive feedback in a consistent and objective way. 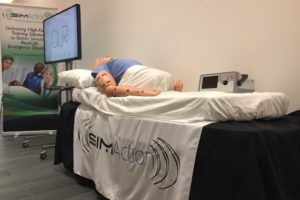 Following this, we take a look below at the Virtual Education Systems VR simulated learning platform available through Pocket Nurse. Students are able to access the learning tool either at home or in the lab. 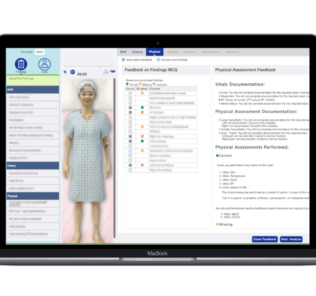 Instructors can change the avatar in order to simulate different types of patients, including pediatric, adult, or patients of different cultures. 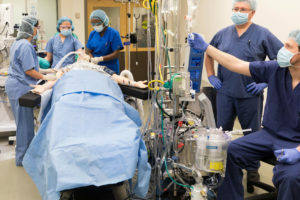 VR forces the student to have a deep understanding of how and why provider-based decisions are made and get real-time feedback throughout the case. 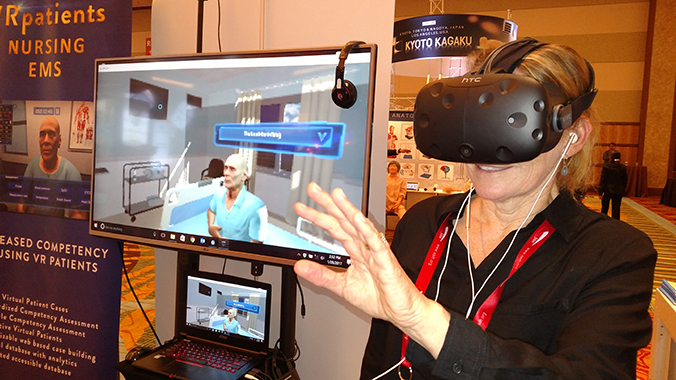 The potential for VR in nursing education moving forward is limitless and will continue to evolve with the release of new hardware capabilities. VR education is becoming less of a novelty, and instructors should adopt it not because it’s a new technology but because it provides a better learning experience for students. How is VES different from other VR products? 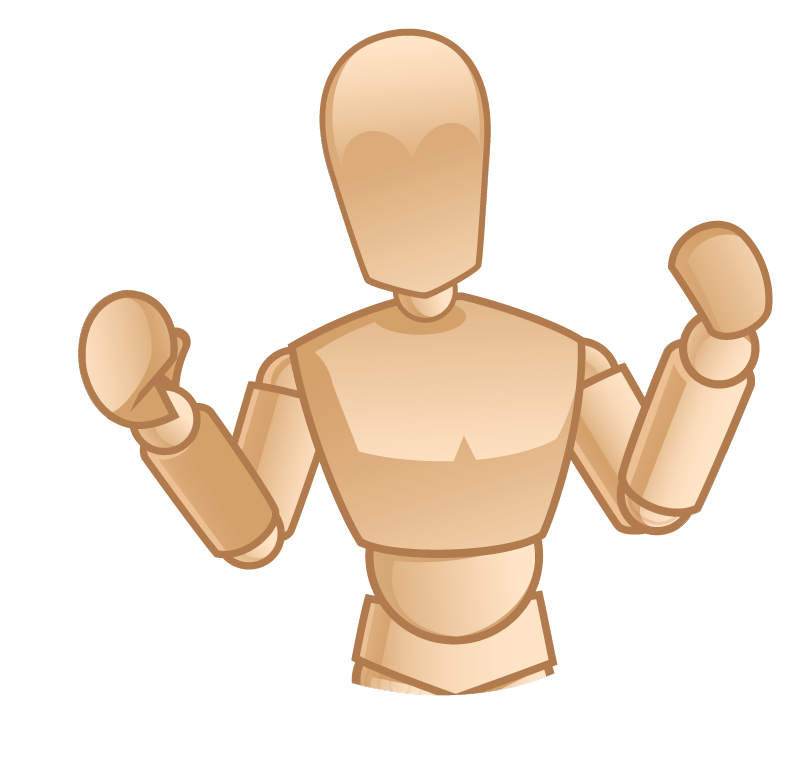 VES provides both a web-based application and a VR element. VES is different from other systems because it allows for full customization of patient cases; other options have limited options available. VES also provides the instructor with the ability to create as many cases as he or she likes. Instructors can change patients, environments (e.g. home setting to an ambulance), and even the assessment parameters, more than one program at a school can use the VES system. For example, an EMS student can treat the patient in the home setting and in the ambulance, then a nursing student can treat the patient in the clinical setting. How do we implement VES or add it into the curriculum? VES cases can be distributed via the learning management tool at an institution where a link to the cases can be embedded into the class assignments. What programs can use this? 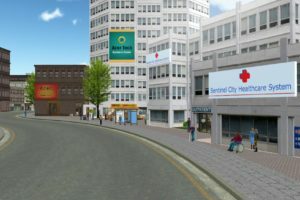 The scenarios in VRPatients primarily apply to nursing and EMS education. 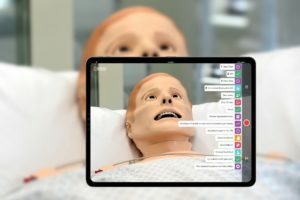 What are the differences between using task trainers and manikins in simulation versus using VR? 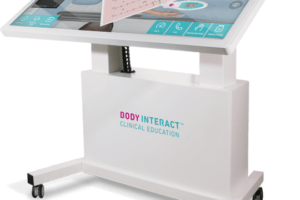 The major difference between VR and manikins and task trainers, is that the latter are designed to teach students how to master a physical, hands-on skill, such as inserting an IV. VR is designed to immerse a student in a realistic environment in which she would treat a patient. The main focus of virtual reality is to teach the student why and when a decision should be made instead of focusing on the actual skill itself. Based on the case an instructor designs, students will go through their assessments making decisions at each step along the way. Students can ask the avatar questions and look at the avatar’s current physical state, as well as view monitors and other diagnostic tools. Based on the data from the avatar, the students develop care plans. Students can view lab results, X-rays, ultrasounds, test scans, MRIs, and more. 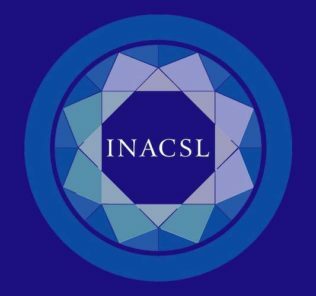 How do students access the product? Students can use the VR equipment in a classroom setting. In addition, instructors and students can access VR scenarios through the web-based tool. Either way the system is accessed, instructors can setup their own cases or create customized cases based on the outcome they want their students to achieve. Since this available via the internet, students can practice these cases as many times as they like while the system provides a self-assessment in the background that students can use to evaluate their performance and learn which areas they may need to spend more time on.  Learn more about the Virtual Education System Available Through Pocket Nurse!